OUTspiration | House by the water. 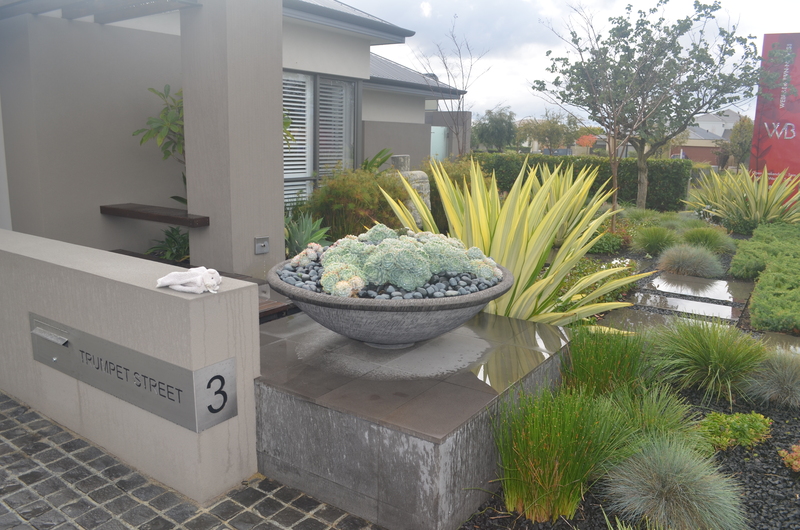 While visiting some Webb and Brown-Neaves display homes near Perth, I was impressed by the landscape gardening around the homes. 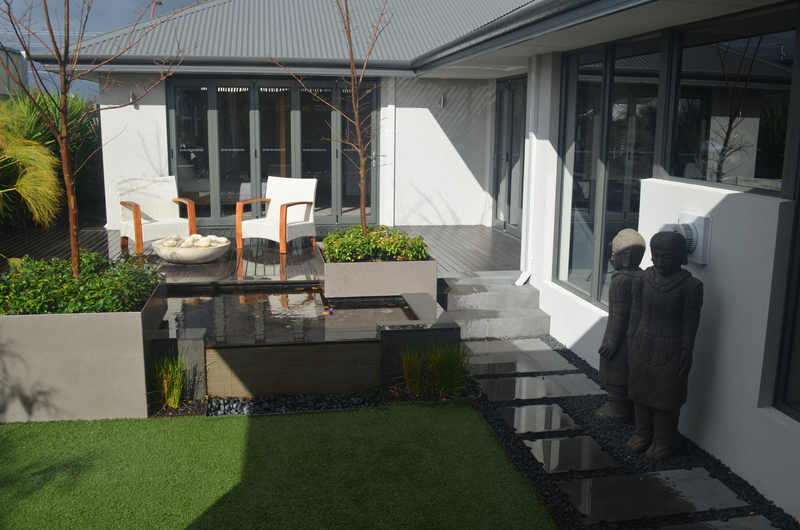 All these gardens were designed by Tim Davies Landscaping. 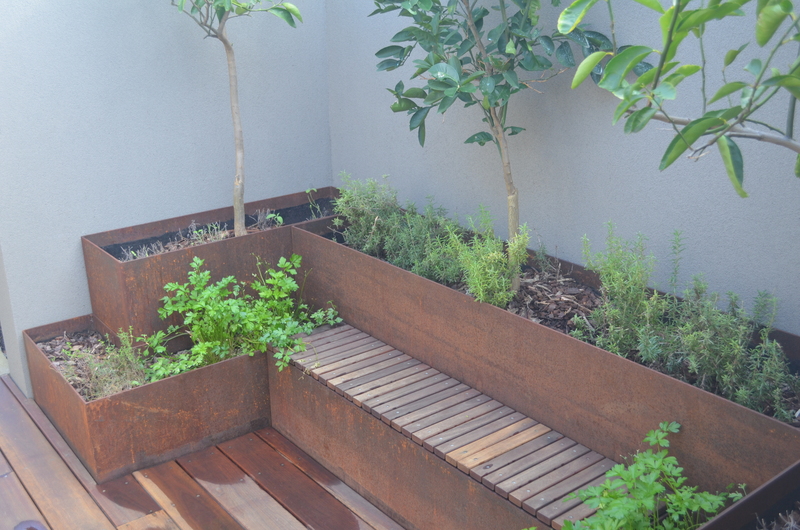 Since we think the guys and girls at Tim Davies have great taste, we’ve asked them to design part of our garden too. (More on that another time.) 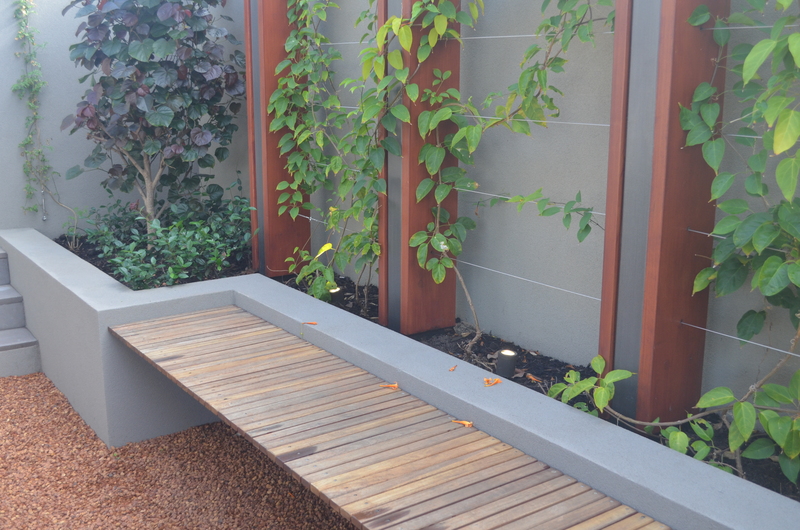 Here are some pics of some of my favourite outdoor features. 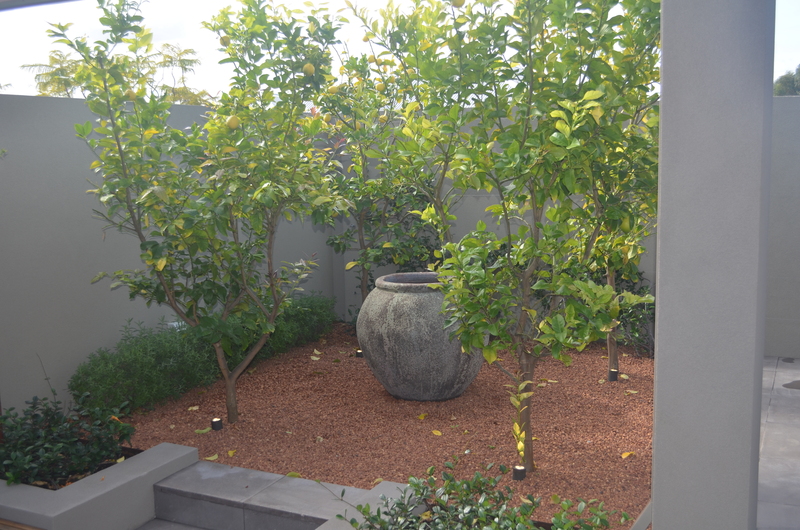 Plant me a lemon tree, and I’m yours. One can never have too many places to sit. 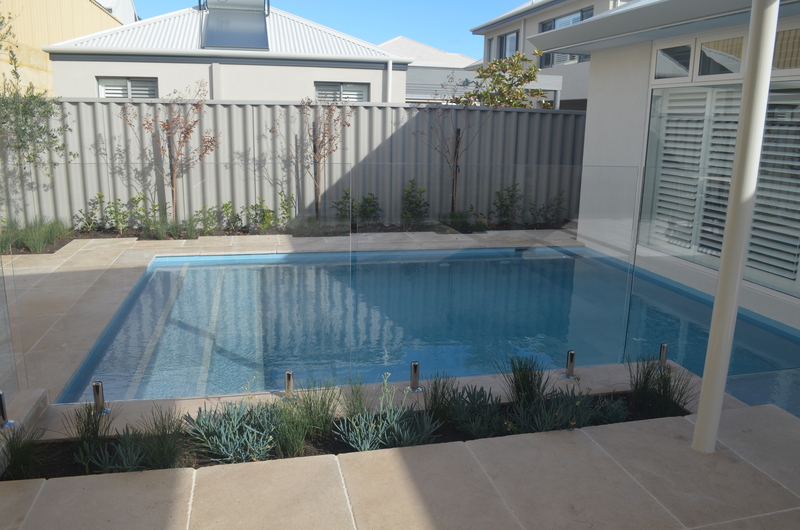 Pools don’t have to be big. Less to clean, less to heat. Nicely hiding the pool equipment. A sunken garden at the “Pagoda”. What is it about the shape of that pot that is cool? I will put my succulent expert (A.K.A. the second little pig) to work. Sorry, I don’t like the succulents but I love the variety of native grasses. You can count on family for honest opinions! 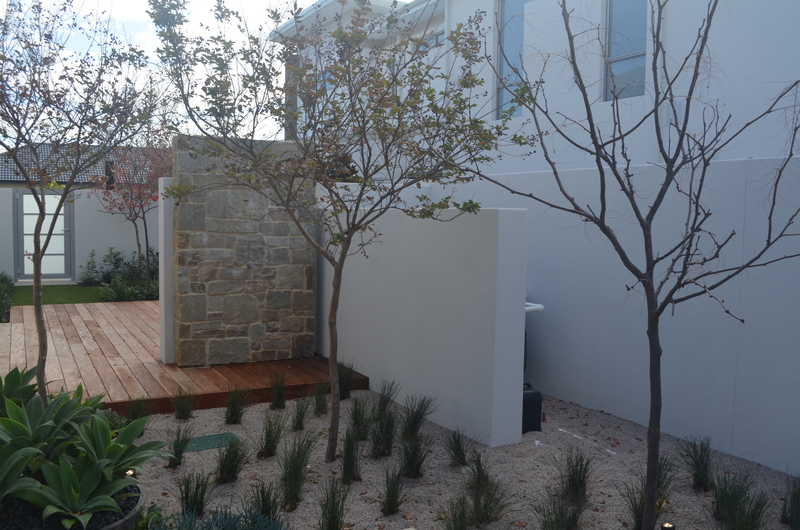 I love the native grasses in that last photo too. 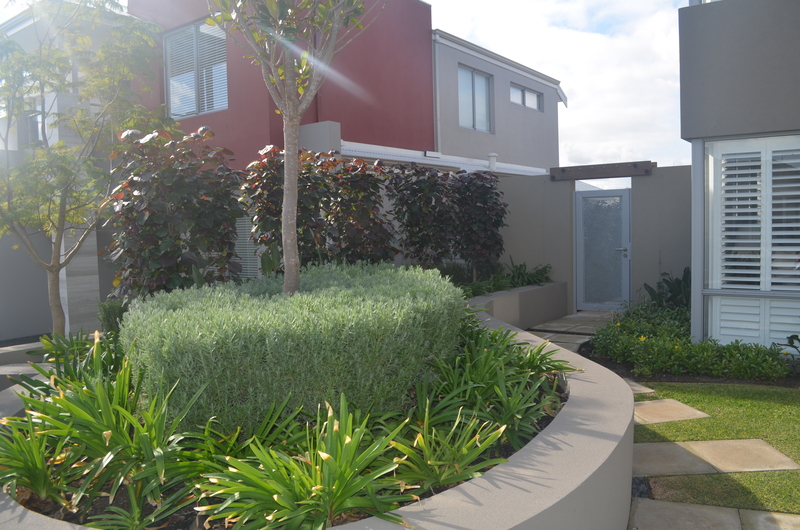 It seems that the current fashion in Australian landscape is to mix native plants with just about anything. I like the no rules approach – limited only by the climate and soil. Just in case I never mentioned it before.. well maybe once or twice…. in 1959 i won first prize in the Dunkeld CWA Show for my collection of succulents. Happy to be the cactus consultant on this project.